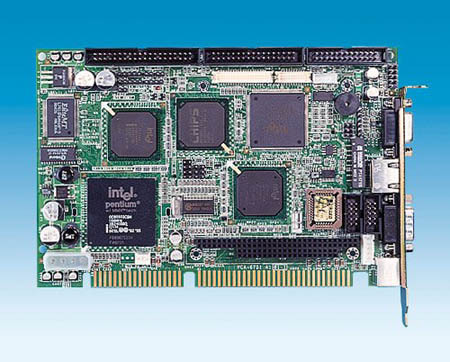 The /PCU is a low power half-size ISA-bus CPU card designed with an on-board Intel® Pentium® processor with MMXTM technology. Featuring powerful on-board functions such as VGA, LAN and SSD, the versatile PCA-6751 can meet the needs of many different applications. CPU: On-board Intel® Pentium® processor with MMX™ technology at 166/266 MHz.